THE NEWS SPREAD rapidly in this corner of Mayo – a place where talk of GAA and football is ever to the fore. Today, Tom and Kitty Fitzgerald from Knockadoon were found dead under tragic circumstances in their own home. Something was wrong – it couldn’t be Tom and Kitty, pillars of the parish community. As the truth of the awful tragedy began to dawn and take root, neighbours and friends were shocked to their core. Nothing like this had ever happened in their lifetime. From as far away as Mexico and America, Lanzarote and the UK, contact was made with the home parish as the shock waves reverberated around the world to places where sons and daughters of this part of Mayo had heard the tragic news. The bell of Irishtown Church pealed through the otherwise silent night, just ahead of the eight o’clock evening mass on All Saints Day. Only last Sunday morning, Tom Fitzgerald was on collection duty while Kitty sang in the choir – duties they had performed with hearts-and-a-half down the years. Father Martin O’Connor, the parish priest, a gentle soul and true pastor to his flock, briefly referred to the news which had devastated the community in the previous three hours. The few words were spoken with a heavy heart and those of us in the congregation needed little more. Together, we shouldered the palpable sadness now dominating the main evening news. Tom Fitzgerald was at the heart and soul of the community life of Irishtown. He served as chairman of the Community Council for several years. He was a passionate supporter of Mayo and he played a central role in the local Davitts GAA Club over the last few decades, having played football himself with Ballindine back in the 1960s. He featured with the local drama group and was a man who loved literature and reading. A past pupil of St Jarlath’s College in Tuam, he was a classmate of Michael Neary, the current Archbishop of Tuam. Tom was a Minister of the Eucharist in Irishtown Church and a central player in the pastoral and community life of his beloved region. Kitty was formerly Coughlan from Crossboyne, a grand village two miles out from Claremorris where the River Robe flows gentle by the picturesque church set among the trees. Like so many people in the western region, they had a huge ‘grá’ for country music. On the August Bank Holiday Weekend gone by, they enjoyed the annual party night hosted by local country singer Kevin Prendergast. These are nights that are cherished in the heartlands away from the bright lights of the cities. Their son Paul attended the local Irishtown National School and later Dunmore Community School. Locals recall a young man who had an artistic flair which later saw him pursue studies in artistic design in Galway. While Tom took care of his farm in Knockadoon, painting houses had become his career of choice for many years. Paul also was a dab hand at the painting and 10 days ago, Tom and Paul were busy doing a job in the home area around Irishtown. Tonight, Tom and his wife Kitty lay dead in their home, while Paul is in a critical condition in hospital. The small community of Irishtown is numb and dazed by the shocking tragedy that has unfolded in their midst in recent hours. It truly is beyond belief on All Saints Day here in the silence of Mayo. Email “Shock as couple who were 'pillars of the community' found dead in Mayo”. 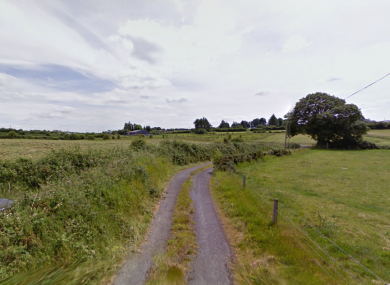 Feedback on “Shock as couple who were 'pillars of the community' found dead in Mayo”.